Join us on our pristine 65', family-run, traditional wooden schooner. 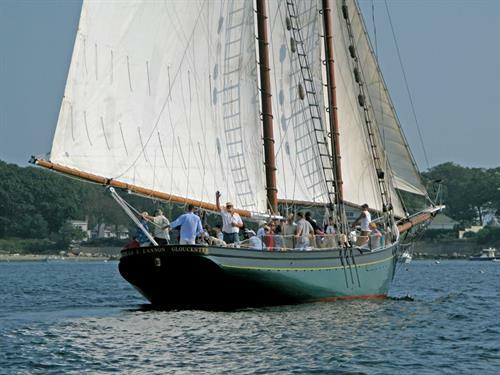 Daily sails in historic Gloucester Harbor, sunset music cruises, and private charters including weddings, birthdays, corporate teambuilding, and more. 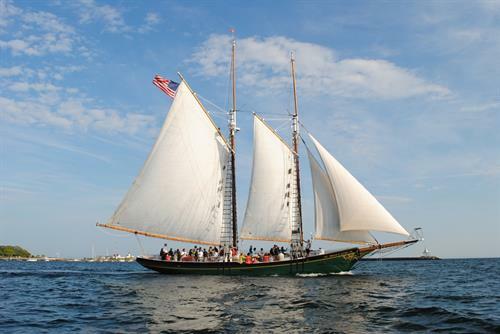 Help the crew raise the sails, or just relax and enjoy the scenery of Gloucester's harbor and scenic coastline. Kids sail free on summer Saturday mornings. Perfect for students, seniors, and non-sailors.